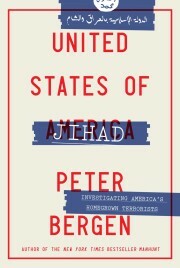 Editor’s note: Peter Bergen is CNN’s national security analyst, a vice president at New America and a professor of practice at Arizona State University. He is the author of “United States of Jihad: Investigating America’s Homegrown Terrorists.” David Sterman is a policy analyst at New America’s International Security Program. (CNN) — While it’s not clear who carried out the deadly attack on the St. Petersburg metro, there are two groups that have both the capability and the intent to carry out large-scale terrorist attacks in Russian cities. First, there are Chechen separatists who have mounted a wide range of terrorist attacks in Russia. The Russians have been waging wars with these separatists since the 19th century. That hatred lingers. In 2002, Chechen militants raided a Moscow theater, where they took hundreds hostage and 130 were killed. Two years later, Chechen militants bombed a metro station in Moscow, killing 39. In 2004, Chechen militants took hundreds of students and others hostage at a school in Beslan. The resultant multi-day siege, which Russia broke with the use of tanks, resulted in more than 300 deaths. Militants continued such attacks through the late 2000s. In 2009, militants reportedly directed by the Caucasus Emirate, an Islamist group run by the Chechen warlord Doku Umarov, killed 28 people in a suicide bombing attack on the high-speed railway linking St. Petersburg and Moscow. Umarov’s group also claimed a 2011 attack on Moscow’s Domodedovo airport that killed 37 people. But more recently, ISIS has mounted a series of terrorist attacks and plots against Russia. ISIS despises the Russian government for its support of the Syrian dictator Bashar al-Assad, and so it’s no surprise that ISIS began targeting Russia in 2015, around the same time that Russia first intervened in the Syrian civil war. It has also increasingly subsumed large parts of the Chechen militant movement that had already been moving in a more Islamist direction. Indeed, Russian citizens — many of whom are from the largely Muslim Caucasus region of Russia and a good number of whom are Chechen — are the largest group of ISIS foot soldiers from a non-Muslim majority country. In June 2015, ISIS announced the establishment of a “province” in Russia’s Caucasus region. Because the conflict in the Caucasus had tamped down in recent years, the announcement of the group’s Caucasus province stoked concern about the potential for terrorism. And, indeed, ISIS quickly began to carry out operations in the Caucasus. In September 2015, it claimed its first attack, which targeted a Russian military barracks in southern Dagestan. Three months later, ISIS carried out another attack in which a gunman killed one person and injured 11 others at the Derbent citadel, a UNESCO World Heritage site in Dagestan. Then, in February 2016, ISIS’ Caucasus Province mounted a suicide attack on a police checkpoint in Dagestan, which it followed one month later with two more attacks on Russian soldiers also in Dagestan. ISIS also clearly signaled that it was planning attacks outside the Caucasus region and was planning to bring its so-called holy war to the key Russian cities of St. Petersburg and Moscow. On October 31, 2015, ISIS bombed a Russian airliner carrying vacationing passengers from Sinai, Egypt to St. Petersburg, killing 224 people. ISIS celebrated the attack both in its English language magazine Dabiq as well as in its Russian language magazine Istok. In August 2016, ISIS claimed its first attack in Russia outside of the Caucasus. Two men, reportedly of Chechen descent, attacked a traffic post near Moscow. Police killed the men, but ISIS released a video of the attackers pledging their allegiance to ISIS leader Abu Bakr al Baghdadi. Then, in November, Russian officials arrested five people suspected of ISIS links who had obtained firearms and explosives. They were accused of plotting attacks in Moscow. These terrorist attacks and plots in Russia are compounded by the fact that Russia has contributed the most fighters to ISIS from any non-Muslim majority country, surpassing even France, the leading European contributor of fighters to ISIS. Last year, Russian President Vladimir Putin estimated the number of fighters who had left for Syria and Iraq from Russia and the former Soviet republics at 5,000 to 7,000. As ISIS loses on the battlefields of Iraq and Syria, contingents of Russian ISIS fighters who survive may try and make their way home to foment additional terrorism on Russian soil. They must be stopped from possible re-entry. In addition to continuing the aggressive campaign against ISIS in Iraq and Syria that began under President Obama and has been ramped up under President Trump, the international community must share with INTERPOL as many names of “foreign fighters” as possible– including the names of the thousands of Russian ISIS recruits — so that as the group’s foreign fighters disperse from the warzones in Iraq and Syria, they can be arrested as they attempt to transit out of the region. And given the estimated 30,000 foreign fighters that ISIS has manged to recruit, Russia and the international community certainly have their hands full.